Jenny, Terrah, Hannah and Jonny made up the Twenty Twos. An album was recorded for Tiswas Records before the band was picked up by Epic Records. Though the band toured extensively both the USA and the UK unfortunately the full album was never released but a four song EP was released on Epic/Tiswas Records. The lineup complete, success came swiftly for The Twenty Twos. Their unprecedented blend of driving rhythms, vintage synth noise and disquieting lyrics attracted the attention of British spaz rock act Supergrass, who invited The Twenty Twos to open for them in early 2003 at New York übervenue Irving Plaza. 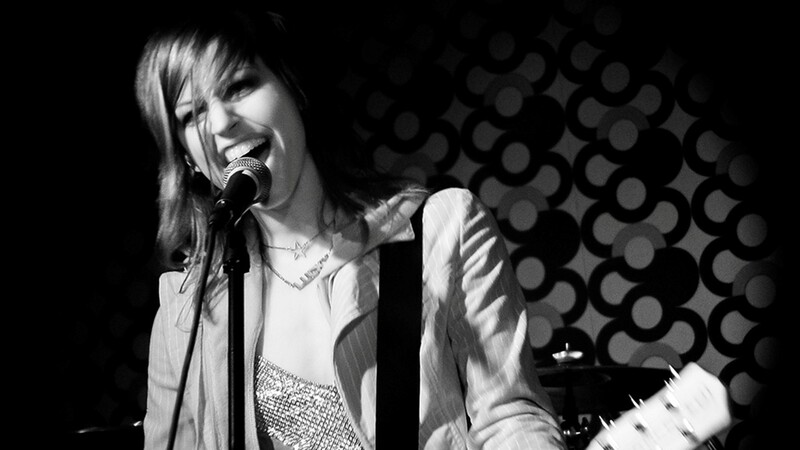 By the fall of 2003, The Twenty Twos found themselves on an extensive tour of the UK supporting fellow New York art rockers Stellastarr*. 2004 brought more US tour dates with Supergrass, and by the end of the year the band was finally ready to lock themselves in the studio and start recording an album. A five-song EP was released on the Tiswas Records/Epic label to support The Twenty Twos’ participation in the 2005 Vans Warped Tour. While The Twenty Twos’ sound was far from sugar-coated, their songs displayed a sophisticated pop sensibility that can alternately induce you a lump in your throat or steal your next-door neighbor’s Camaro and drive cross-country really, really fast. Cragg and Moorhead’s rhythm section was suffocatingly tight, deftly switching from punk to spacey pop in songs like “All Made Up” with the contained fury of an electrical storm. Christmas’s guitar playing was uncommonly resourceful, almost to the point of being economic – she has an extraordinary gift for knowing exactly how much to play without ever losing momentum or going overboard. Schroll’s vocal style managed to mix seamlessly with Christmas’s while remaining distinct enough to carry breathtaking leads on darker numbers like “Radio.” Her arsenal of vintage keyboards provided lush, neo-prog soundscapes that lent the band’s radio-ready pop songs a refreshing unpredictability and at times epic scope. With influences as diverse as The Cure, The Clash, Stevie Wonder and Yes, it’s not surprising that The Twenty Twos sounded like nothing you’ve ever heard before.